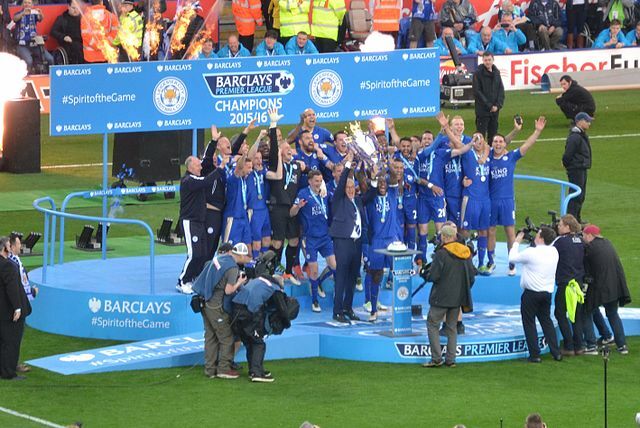 It is hard to recall a fairytale like the one Leicester City scripted in the 2015/16 Premier League campaign. It came from a team that barely managed to stave off relegation in the previous season, was embroiled in issues off the pitch during pre-season and proceeded to sack their manager Nigel Pearson. However, the well-travelled Claudio Ranieri proved to be an inspired choice as he guided the Foxes to an unthinkable league win as the giants of English football floundered around them. Brazil are football royalty. The South American nation have won the World Cups more than any other country and are also an eight-time Copa America champions. However, an Olympic gold medal had eluded them. They came close in 1984, 1988 and 2012 but had to settle for the silver medal on each occasion. The 2016 Olympic Games were at home and expectations were high for the team to finally end their duck in front of their supporters. The team, led by their talismanic captain Neymar, duly obliged as they defeated Germany 5-4 in a penalty shootout in the final. Iceland is a nation of just 330,000 people. The nation became the smallest to qualify for a major international tournament with their appearance at the 2016 European Championship. But no one expected them to do much beyond progressing in the first knockout round; if at all anyone predicted them to make it out of the group. Lars Lagerback’s men finished second in their group ahead of Portugal and, quite remarkably, defeated Roy Hodgson’s England 2-1 to dump them out of the tournament. It was a historic win for the small nation but their giant-killing act didn’t go on for much longer as they lost 5-2 to France in the quarter-final. Il Grande Torino of the 1940s are regarded as one of the greatest football teams of all time as they went on to set a plethora of records that have stood the test of time. One of their longest standing records was the five successive league titles they won in their prime. Juventus, the other Turin giants, matched their illustrious city rivals this season as they collected a fifth successive Scudetto under the stewardship of Massimiliano Allegri. Europa League has become a Sevilla play thing for the past three seasons as they have managed to claim the second tier European competition for an unprecedented three successive seasons. Sevilla’s iron grip on the trophy appeared to be slipping as they went behind Liverpool in the final but made a stirring second half comeback to claim a historic win. They started the 2015/16 European campaign in the Champions League but slipped into the Europa League after finishing third in their group. This season too they started in the elite European competition but have managed to qualify for the knockout stages having finished second behind Juventus. It means Sevilla will not get a shot at a fourth successive Europa League.